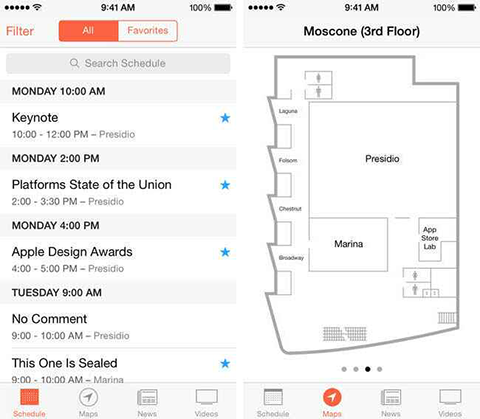 Apple has updated it’s WWDC iOS app, revealing the schedule for next month’s World Wide Developer Conference 2014. Apple will start the keynote at 10AM to 12PM on Monday, June 2nd at Moscone West. Apple will most likely unveil OS X 10.10 and an enhanced iOS 8 with Healthbook.app, improved Maps and new iPad fetters. According to the latest rumours, Apple is also planning to unveil new hardware. This could be either the iWatch, a new Apple TV or a new Macbook Air.